Abstract: The seminar focuses on Shi’i clerical authority in Iraq and its transformations in relation to the state weakness and transnational dynamics. In the pre-modern Iraq, Shi’i clerical authority has evolved as a largely autonomous tradition that played several roles associated with the social and political orders. Modernization and secularization have influenced those roles and generated new dynamics both within this authority and in terms of its relationship with society. In the last four decades, there were two major transformations that have deeply re-shaped clerical authority and clerical politics in Shi’ism: the Islamic revolution in Iran and the occupation of Iraq. The seminar will offer some explanations on those dynamics and the future trajectories in the sociopolitical roles of Shi’i clerical authority in Iraq. 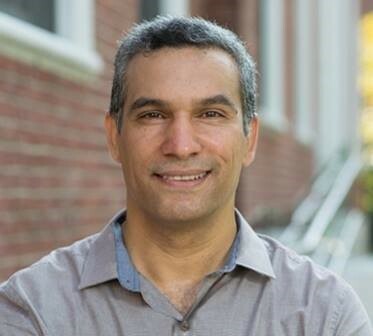 Prior to joining the SFM team, Dr Harith Al-Qarawee was research fellow at the Crown Center for Middle East Studies at Brandeis University. He continues this association as a non-residential fellow. He had been a fellow at Radcliffe Institute for Advanced Studies-Harvard University (2014/15). After completing undergraduate study at the University of Baghdad, he completed graduate studies at Leeds University and obtained a PhD from Sant’Ann School for Advanced Studies in Pisa. Dr Al-Qarawee’s current research interests deal with authority, religion and identity politics in the Middle East, and with the reconfiguration of religious institutions more specifically. He has published both in English and Arabic dealing with themes of sectarianism, identity politics, Iraq’s system of government, ISIS and Shi’a political and religious groups. Dr Al-Qarawee was a member of the working group on religion and identity, as part of the Atlantic Council’s Task Force for the Middle East, a member in the Atlantic Council’s Task Force for the future of Iraq. He is now a member of the working group on minorities and gender in the “International Panel on Exiting Violence” in Paris.